Captuvo Sled | Taylor Data Systems, Inc. Available for Apple iPhone®, iPod touch® and iPad mini™, Honeywell’s Captuvo enterprise ‘sled’ is a device that provides data collection capability and easily attaches to your iPhone 7, 6 and 6s. The Captuvo Sled integrates quality barcode scanning ability with a disinfectant-ready housing designed to stand up to the chemicals used to clean hand-held devices in a healthcare environment. Texting has become part of the landscape in a healthcare environment. That means that clinicians and administrators are using their smartphones constantly. This new level of communication has helped improve overall efficiency of patient care and ensures that clinicians are in the right place at the right time. When the Captuvo Sled is snapped on to the existing iPhone, users gain the additional feature of barcode scanning. This frees up space on the WOW (workstation on wheels) and allows the patient wristband to be scanned with the built-in barcode scanner on the device. 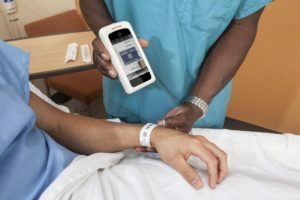 And with barcode scanning built into the Captuvo Sled, that means there are no cords or scanning equipment to work around bedside tables, trip over in tight spaces, or get in the way of patients and providers. If the user is already familiar with how an Apple device operates, then training on the Captuvo Sled is a snap. With easy access to patient data and drug information and ability to quickly communicate with physicians and co-workers, it empowers users to make better, faster decisions. 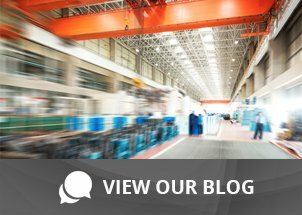 Ready to mobilize your workforce? Contact us today for more information and a demonstration of this handy and valuable mobilizing device.